The Jarifa2 6.8 is a premium hardtail 29er from German giant Focus. It boasts a plethora of features and performance. As a relatively inexpensive, top of the range 29er, the Jarifa2 6.8 is hard to beat on both price and components. Bosch’s Performance CX motor powers the Jarifa, and couples with a huge integrated 500Wh battery. The 6.8 is ready for anything! It’s 29″ size Schwalbe Racing Ralph Performance tyres are 2.25″ wide and provide strong, high traction momentum. They’re light, fast, and give consistent handling at all times. This sturdy and reliable wheel copes with heavy off road terrain, yet is agile enough for canal tow-paths and railway cuttings too. The PURION display from Bosch features on the Jarifa2 6.8, and sits unobtrusively on the left-hand side of the handlebar, totally out of harms way. Its large, no fuss crystal clear display is easy to read and provides all necessary information for the rider. 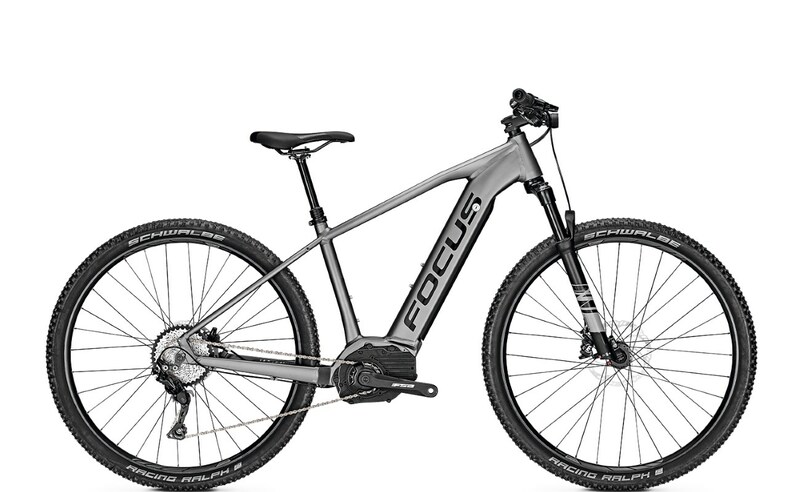 Focus certainly have a real winner in their high spec, ultra-competitively priced hard tail eMTB. Bosch’s most powerful motor is at the heart of the Jarifa2 6.8, and with a 29er profile it really is a great all round performer. Furthermore, the huge fully integrated 500Wh battery ensures energetic performance and fabulous looks. The 6.8 is going to prove very hard to beat.